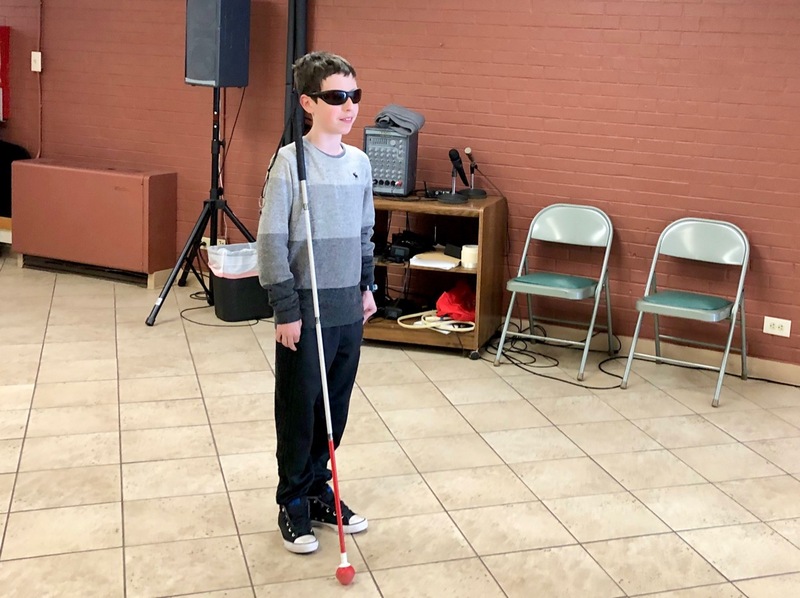 During the lunch break, Ty Gillespie talked about his experience going to the National Braille Challenge last summer, held at the Braille Institute in Los Angeles. Were you nervous? “I was really nervous.” Would you go again? “Oh yeah, I’d go again!” Ty took 2nd Place in his age group in 2018. 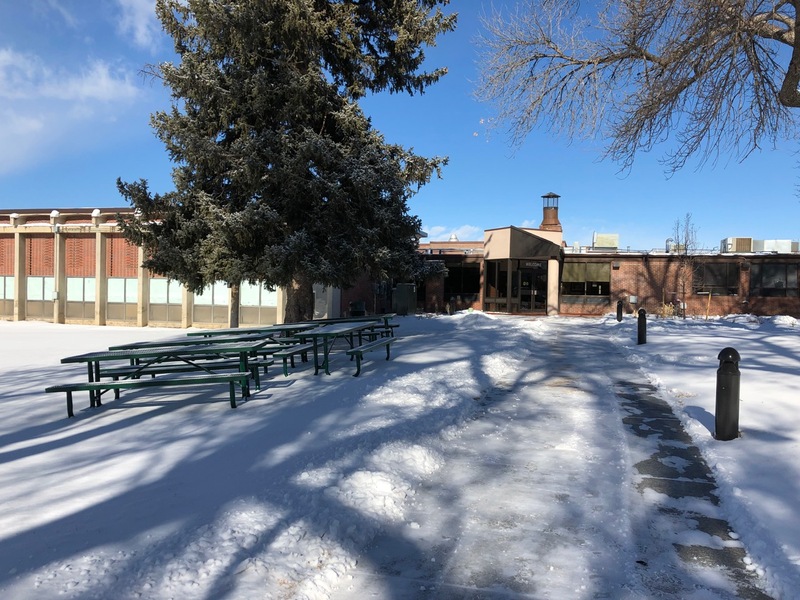 We hosted the Braille Challenge today, referred to as the “Braille Blizzard Challenge” by the seven Colorado School for the Deaf and the Blind (CSDB) staff members who drove north in the storm, sometimes at 25 MPH or slower. It was also slow going for participants, teachers and parents who came from as far away as Dillon and Fairplay. It even took as long as 90 minutes to get to Littleton from Aurora as wind and snow swirled across the Metro area this morning, beginning about 8 a.m. There were 14 participants in the Braille Challenge hosted here today, and there were 25 in Colorado Springs last Thursday at CSDB. No doubt, Braille Rules! Based on the last couple of posts, readers might get the impression that it’s doing nothing but snow in Colorado this month. The truth is that, between storms, skies have been sunny and teperatures as high as 55 degrees. Not so rough. And since this is Colorado, this morning’s wind had died and the sun was trying to burn through the clouds by early afternoon. By early afternoon, the view of the front of the Center showed only the fresh snow from the blizzard, and the sun was burning through.